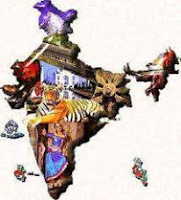 India GK Question Sample Paper 5: India General Knowledge (GK) Sample Question Paper No. 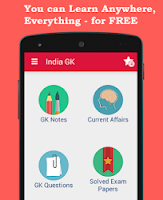 5 with Collection of India GK Questions under GK Quiz in PDF @ India GK Sample Papers. Q.121 In 1857 the first shot from a rebels gun was fired in ? Q.122. The difference in years betweek Vikram Era and Christian era is ? Q.124.What does Article 17 of the Constitution Say? Q.126. Who is known as the sculptor of the constitution of India’? Q.127 Which of the following crops in Vijayanagar empire was widely exported? Q.128 What is known as the “Little India”? Q.129 Which of the following introduced Perso-Arabic melodies (ragas) into Indian Music? Q.130 Who decides whether a bill is a Money Bill or Not ?